Ryk Neethling is one of South Africa's favourite sportsmen and is not only known for being an olympic medalist but also for his classic style in fashion. LUXO has mingled with Ryk various times and at every event he looked perfectly elegant and stylish from head to toe. Ryk has done various modelling campaigns, including Jenna Clifford and J Crew which is a very good look on him in my personal opinion. 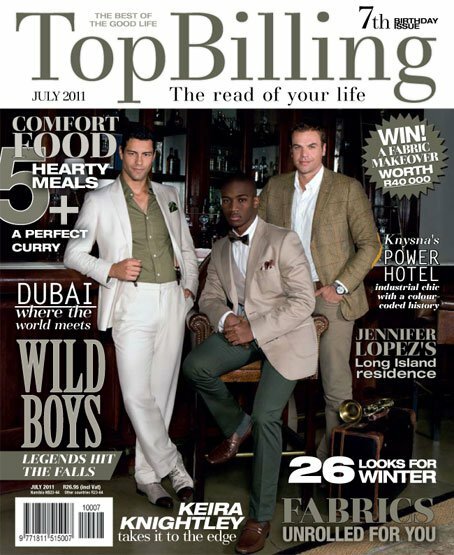 Featured on the cover of stylish magazines such as Top Billing definitely makes his fashion something to watch. He has the typical "jock" look with his polo shirts, tailored suits and cardigans and this creates a very simple but classic style. He loves smart casual fashion pairing a buttoned up shirt with jeans and what makes him our style icon of the week is the fact that he does not neccessarily go all out fashion wise by taking fashion risks or following fashion trends, but he is always appropriately dressed and well put together in his masculine style. Always nice seeing Ryk Neethling at the Val de Vie Estate for Polo matches and the fact that he is a friendly, approachable guy makes him an even better choice for our week of Style Icons. No comments yet on Ryk Neethling Stylish Sportsman .